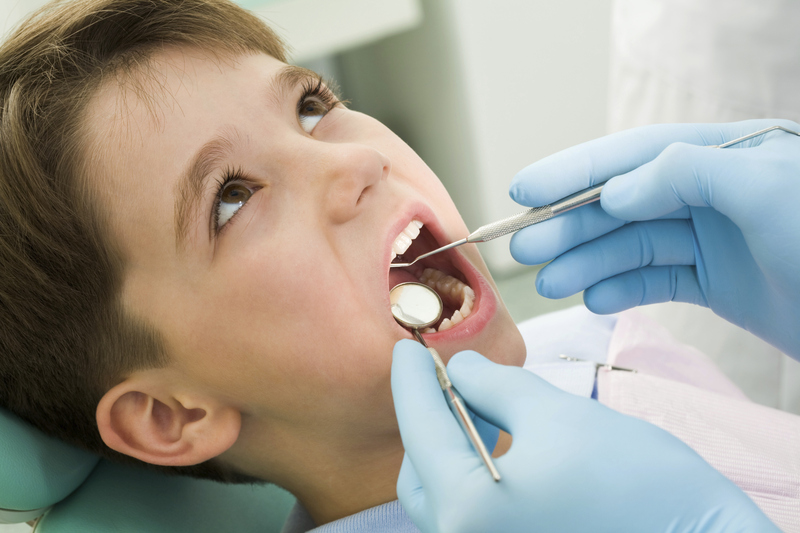 Tooth extractions for children can be quite the experience. Children can either learn to loathe the dentist, or love the dentist. Here at Kangaroo Smiles, we strive for the latter. Dr. Mona and her Kangaroo Crew have a few tips to help keep your child calm and collected before their pediatric tooth extractions around Lowell. It all starts from the milestone of their first tooth. We encourage you to bring your child in to get familiar with the dentist, at the tender age of 1. By doing this – you are allowing your child to get familiar with the environment, noises, smells, and most importantly – the dentist. Let’s take a look at these 3 tips to help make your child’s pediatric tooth extractions a breeze. No matter the treatment that you’ll be anticipating for your child, be careful not to over-inform them. By giving them too much information about what they will expect, they may develop unnecessary anxiety that will leave them terrified when they walk in the door. Instead, you can over-inform them about the friendly dentist, the cool lights, and sunglasses! It’s a natural instinct, because of the love we have for our kids, to tell them everything will be okay. The problem with telling them that is they don’t always experience everything being okay. You want to build trust between your child, yourself and the dental office. Make sure that if you’re making promises, it’s something you know you can deliver, such as special treat after their visit. Understand that it is normal for a child to cry, wiggle and whine during a dental visit. Our goal is to create a safe and fun environment for children to learn about oral health and succeed in keeping their mouth free from conditions and infection. If you find that no matter what, your child fusses and whines in the dental chair, the Kangaroo Crew wants you to know that it is okay. This is an age-appropriate reaction, and with enough routine visits, your child will soon become a pro. For the comfort of both our patients and their parents – we offer sedation for those who are truly in need. For more information on how Kangaroo Smiles proves to be the most trusted office for pediatric tooth extractions around Lowell, give us a call at 978-425-1496.